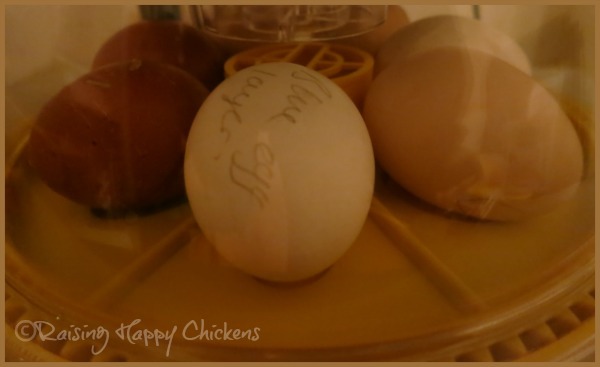 Incubation : what happens at day 1 of incubating chicken eggs? Incubation of chicken eggs - Day 1. Now it's time to see what's happening at this very early stage of incubation. When exactly is day 1 of incubation? This is a question I'm often asked, and something I used to get very confused about. As a rough guide, if they go into the incubator in the early morning, I count that as day 1. However if they go in any time after mid-day, I count that as day 0 and the following day as day 1. 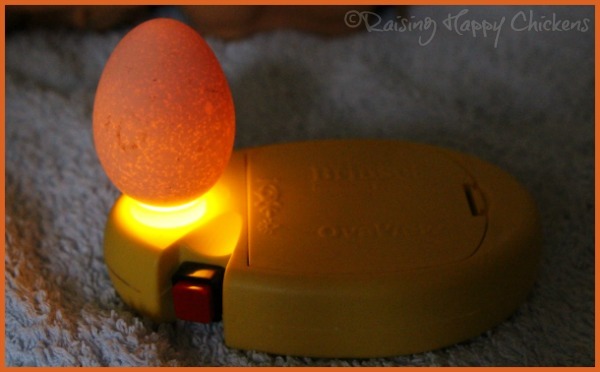 An egg doesn't have a full day's development until it's been incubated for 24 hours. A clutch of eggs at day 0 in my Brinsea Mini Advance incubator. So if I put my eggs in on a Monday at 5pm, Tuesday is day 1. Incubation times aren't all that precise, though, so don't get too worried about it. 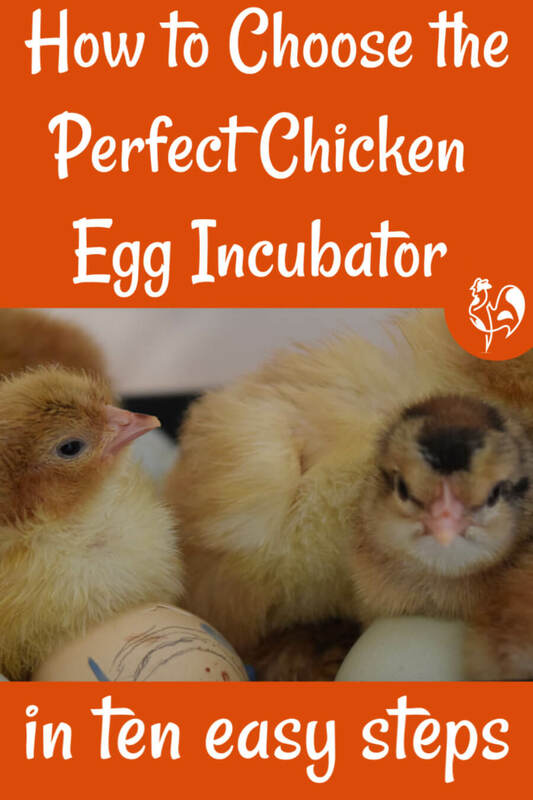 The process from the start of incubation to hatch usually takes 21 days, in which case hatching will take place on the same day of the week they're put into the incubator. However, as we'll see later in the process this is not an exact science and hatches can take more or less time than this. 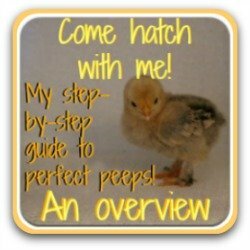 I've had chicks hatch as late as Day 26. 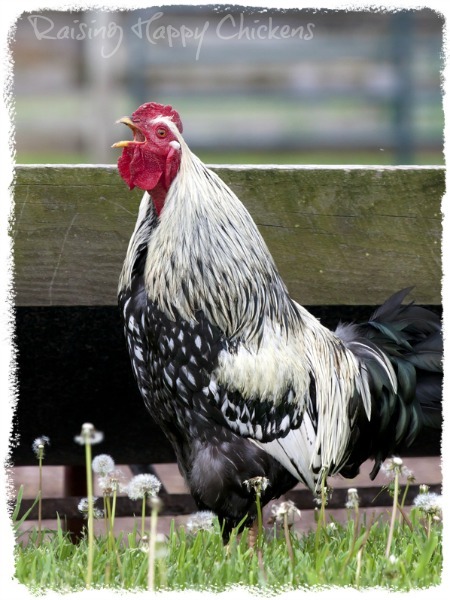 A rooster - the first step to successful incubation! 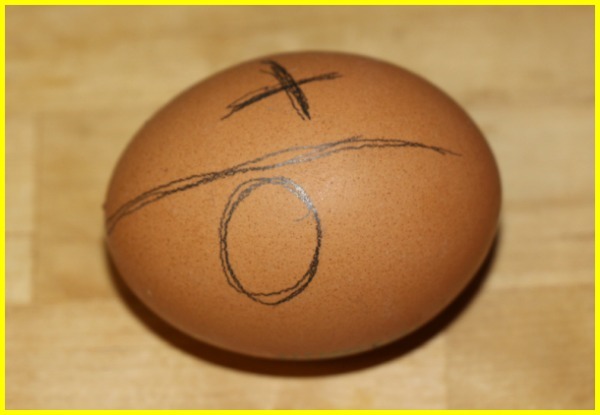 You might think nothing much is happening in the egg today - after all, it's only just gone into the incubator. In fact, the egg starts to develop as soon as it's laid - provided, of course, that a cockerel (rooster) has been around to fertilise it. If there's no daddy, there's no baby. As soon as the fertile egg is laid cells begin to divide and will, if kept at the right temperature and humidity levels, start to develop today into an embryo. If they're not warmed then nothing will happen. In a fertile egg which isn't incubated, the cluster of cells remains and if you open it at this point and look at the yolk, you'll see a pale circle with another, smaller circle in the middle. This is the blastoderm and it's often referred to as the "bullseye". It looks a bit like a doughnut. It's a sign that the egg is fertile and it's from here the chick will develop. In an infertile egg it's called the blastodisc and doesn't have the same 'bullseye' or doughnut pattern - you'll just see a pale circle if you look very hard. 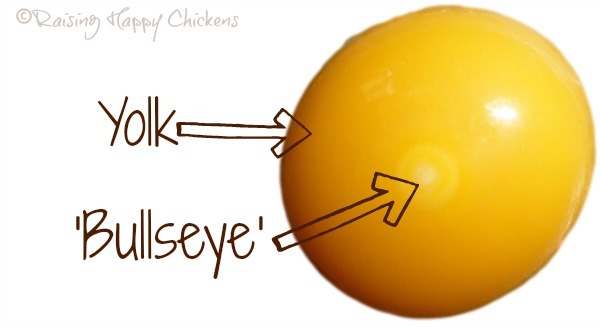 The 'bullseye' or doughnut of a fertile egg. 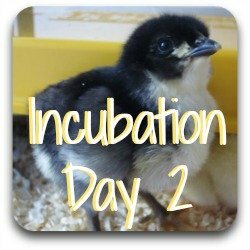 It's only day 1 of incubation - what does the chick look like today? At this stage it's really not a chick, just a collection of cells. Although things are happening they're not visible to the naked eye. Despite this, the blastoderm - that collection of cells which will form the embryo - is developing, microscopically. The cells which will become the head, spine, blood vessels, nervous system and digestive system are already starting to divide. The incubated egg at day 1. What can we see if we candle at day 1? Nothing. 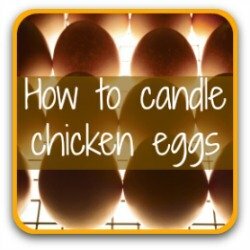 It's not wise to candle too early in the incubation process. There's nothing to see yet and you run the risk of damaging the fragile embryonic system. This is what you'd see if you did. The slightly darker area on top is the yolk. Apart from that, the naked eye can't see anything going on. 1. Make absolutely sure the eggs are either lying on their side or are incubated with the pointed end facing downwards and the blunt end up. This is really, really important. If the eggs are stored the other way - with the pointed end uppermost - the eggs will not hatch. No ifs or buts - it won't happen. 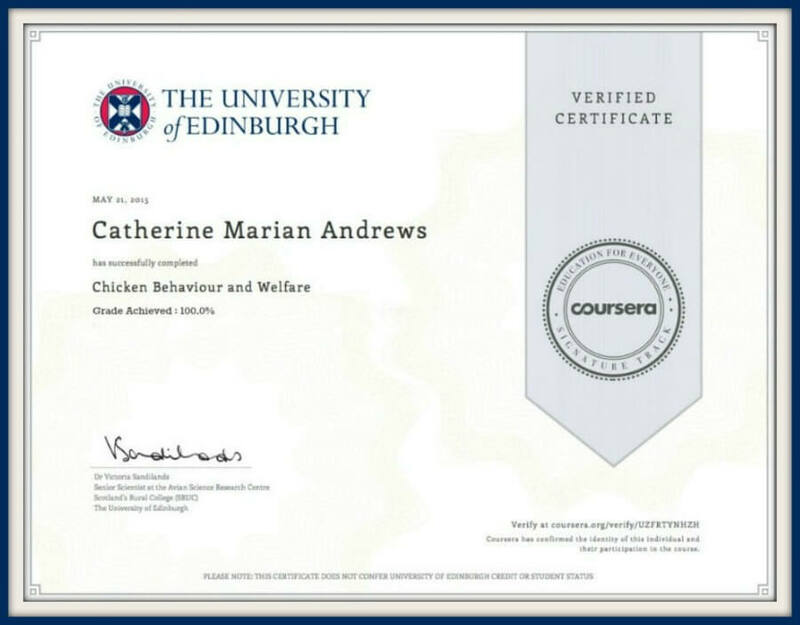 I have had so many people write to me in desperation having realised later on in incubation that their eggs were wrongly placed and, sadly,the whole hatch has been a failure. 2. Make sure the eggs are turned. It's also important to make sure that every egg is turned throughout incubation right up until day 18, and it's particularly critical in this first week. It's been shown that turning increases the success of a hatch by around 80%. 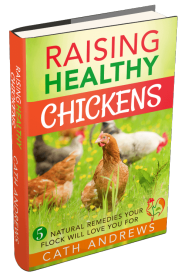 [Source : Gail Damerow : 'Hatching and Brooding Your Own Chickens' - see my review of this book by following this link - it will open on a separate page so you can easily come back here to finish reading about day 1]. Early in the process there's a strong possibility that not turning will cause the developing embryo to stick to the shell membrane and be unable to grow. Later in development a chick may start to 'pip' but die at that point because not turning also affects the air cell which doesn't develop properly. So the chick itself develops but when it tries to 'pip' through the inner membrane, there's no air there for it to breathe. In effect, it suffocates. The hatchling will only pip if the air sack is properly developed. 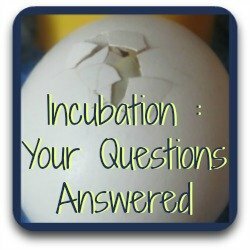 How often should turning take place during incubation? 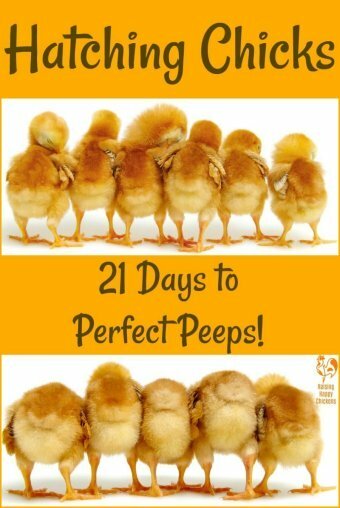 A hen sitting on eggs gets off them every day until around the end of day 18. She goes to feed and drink, and when she returns to the nest she moves the eggs. Incubators with automatic turning devices mimic that behaviour and turn by a small degree every hour or two, day and night. See this page about how to set the Brinsea Mini Advance for more information. If you're turning your eggs by hand it needs to be done at the very least three times a day. If you're a teacher and your eggs are in the classroom, you need to be sure before you begin incubating that you can have access to the school at weekends - chicks do not stop developing on a Friday night! 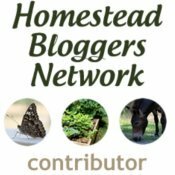 I don't have an automatic turner - what should I do? Mark each egg on both sides (before I had an automatic turner I used an 'X' on one side and 'O' on the other) and turn them halfway round each time. 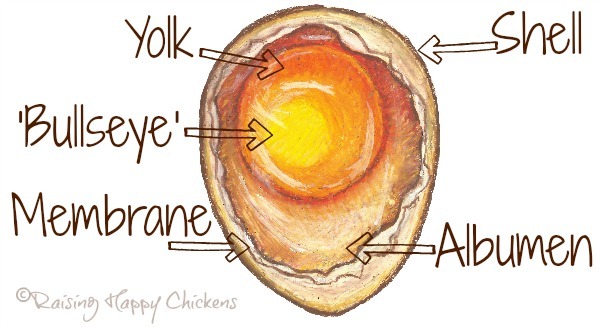 Don't turn them completely around all in one go - there's a danger then that you'll break the chalazae which holds the yolk in place. If you have to turn the eggs manually make sure they're marked so you know which way they should be. If you're doing this manually it probably won't be possible for you to turn every hour for 24 hours! Do it as often as you can but at the very least, three times a day. And remember - you need to turn them at weekends too! This is so important that I would advise you to set some kind of alarm to remind you it's time to turn. Apart from the turning issue, can anything go wrong at this stage of incubation? No-one can tell at this point whether or not an egg is fertile so it's not exactly 'going wrong', but in any hatch a proportion of the eggs won't even start to develop because they haven't been fertilised. 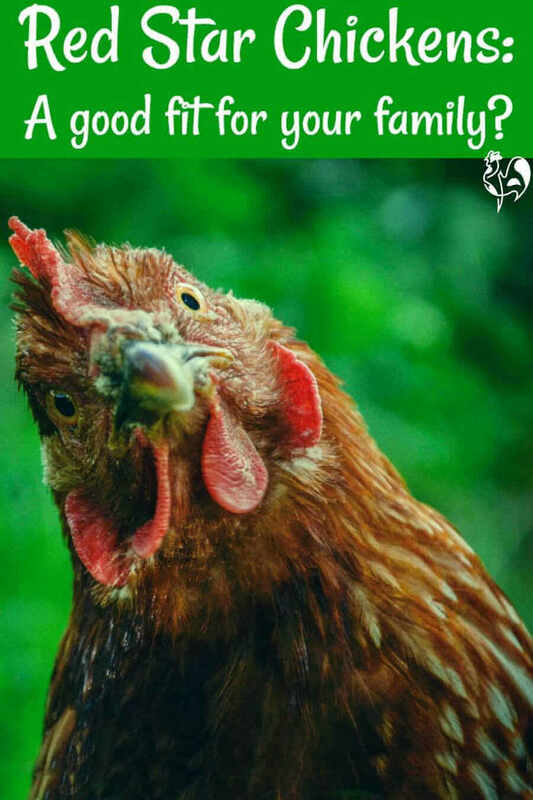 Reputable breeders who sell eggs test a proportion of the clutches and will have a reasonable idea if there's a good level of fertility in general - but nothing can be guaranteed. Some hatcheries will offer to replace eggs which have never started to develop. The best anyone can do is to make sure the eggs you choose for hatching are the best available. 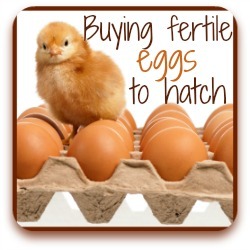 If you haven't seen it, my page about choosing fertile eggs will tell you what to look for. Can a fertile egg be eaten? People often ask me if an egg which has been fertilised is safe to eat and the answer is - absolutely. It doesn't have any more health benefits than an unfertilised egg, though - that's a bit of an 'urban myth'. 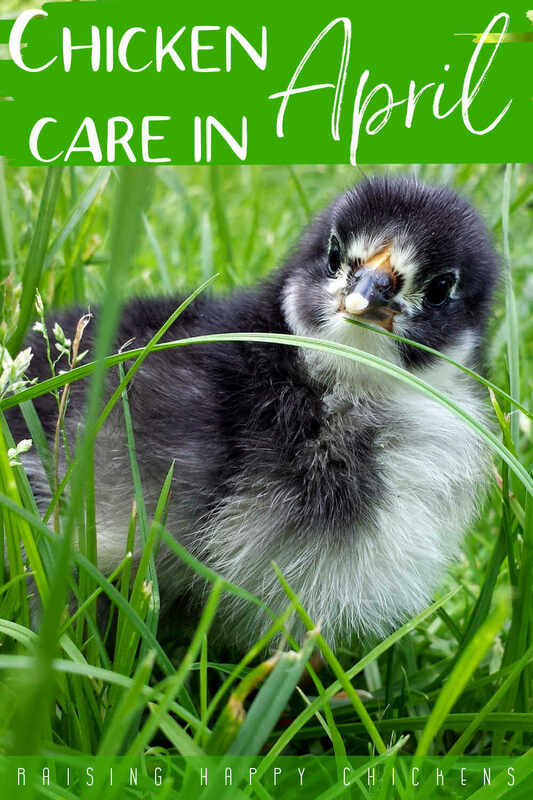 On each day of this series, I feature one of my own chicks so that we can keep our mind focused on what this is all about - hatching healthy, happy chickens. 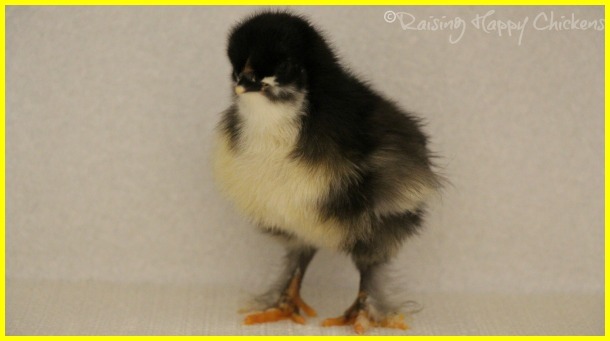 This is one of my Black Copper Marans chicks at just four days old. The Marans have feathered legs - you can see them quite clearly here, even at this very young age. 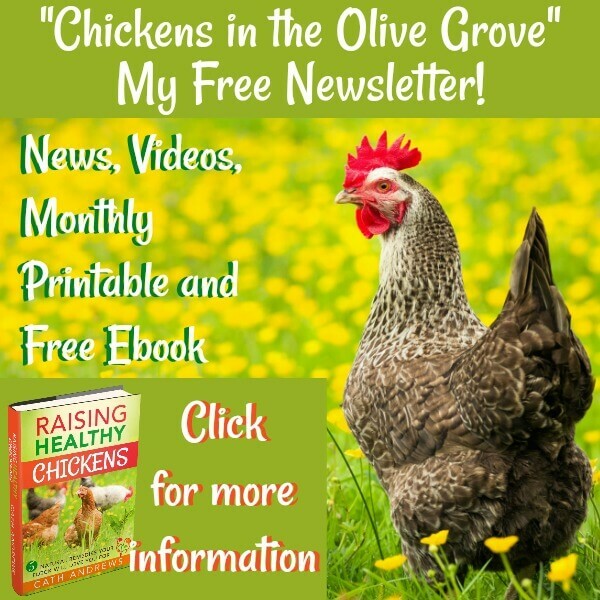 If you want e-mails personally delivered every day of incubation with a link to my pages telling you exactly what's going on during each step of the incubation process, you need to sign up for my series called "Hatching Happy Chickens". If it sounds interesting to you and you'd like to know more, the image to the left is a link to details about exactly what you'll get. And the best thing? - It's free (at the moment)! The easiest way to follow my hatching series is to sign up for my e-mail series. However, if you'd rather not do that, these are links you need to work logically through the hatching process. Other pages you may find helpful. 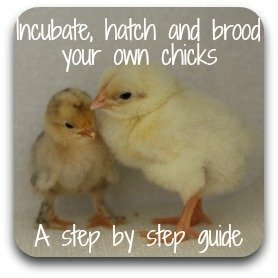 If you'd rather not sign up for my series, please make sure you at least have a look at some pages about how to prepare for incubation. Preparation can mean the difference between a successful and an unsuccessful hatch. Click on any of these pictures for more information. Any questions about day 1? If you're worried or concerned, or if you just want to talk about your own experience of the first day of incubating - share it here!